GET YOUR TABLE QUICK SPACE US LIMITED!!! Big Sticky Mess traveled light years at rocketing speeds to Earth in search of you. Now, as if shot out of a cannon through the heart of a rainbow, the Mess is here bringing a kaleidoscopic mix of extraterrestria hooks, vibrant grooves and potent beats, purely for your entertainment. 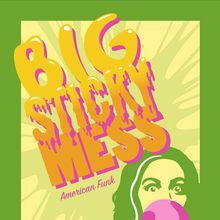 Close your eyes and hear the funky jams reminiscent of decades past with a sound much larger than the three piece arrangement before you should allow. 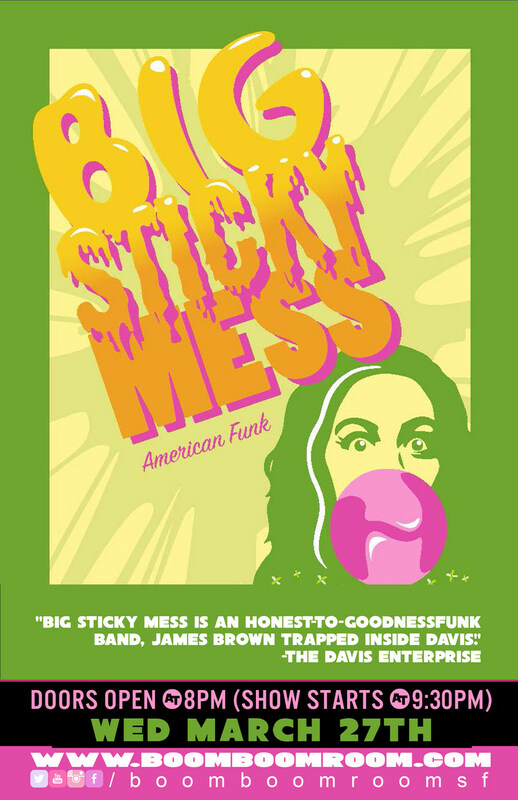 So slip another drop under your tongue and join the inter-planetary groove train that is the Big Sticky Mess. Winner of the Sacramento News and Review 2015Funk Sammie Award as the top funk band in the greater Sacramento area.